Kim Jong Un and by extension, North Korea, have one again demonstrated that no degree of food aid will deter them from being compete idiots. 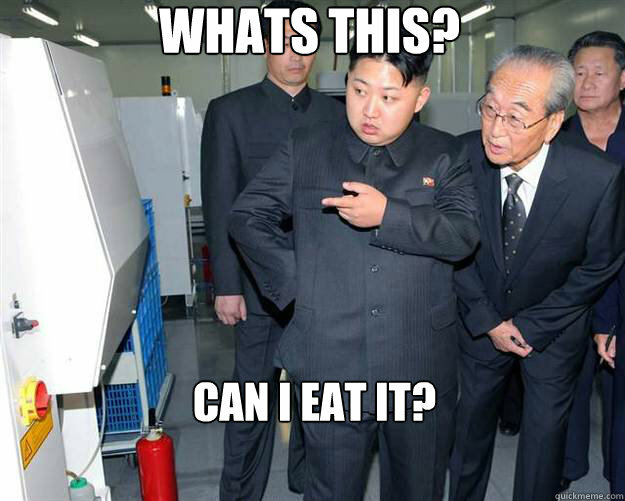 North Korea operates exactly like a spoiled child who has been conditioned to act out to get what they want, and it appears that they want food again. They have ended up spending multiple millions of dollars on their new ICBM which, like their previous ICBM, they claim is not an ICBM. The amount of food they could have purchased with the amount of money put into their missile development would be an amazing amount, but why pay for something when you can get it for free? 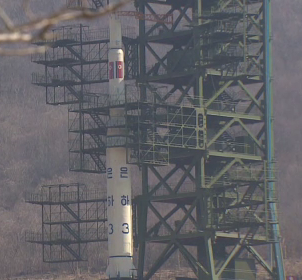 This missile will likely not be used as a bargaining chip, but more of a means to flip the bird to the world community, all in the name of Kim Il Sung’s 100th anniversary, as America had previously agreed to feed them again in exchange for talks about stopping their nuclear weapons program which they will never stop and always use to get more food aid. North Korea is going to test out their ICBM technology once again under the ruse of it launching a satellite into orbit. This excuse was successfully used once before with a missile that lacked any sort of orbital payload, so they figure nobody can see past their lies and will do it again. 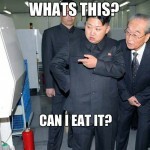 What happens when North Korea doesn’t get food aid? Numerous, Bond villain threats that don’t contain commas. ie “By this tragic insult to the glorious Korean nation of free and healthy people we will rain fire down upon all cities of the devil enemies and spread the ashes to every corner of the globe with unbridled and unrelenting passion of vengeance and juche of Great Leader et al”. North Korea will misbehave until America or China caves and gives them enough food to keep them quietly enriching uranium. What happens when North Korea does get food aid? The soldiers have their meal for the season, and the serfs continue their lives hungry. If soldiers don’t get food, there is dissent. If there is dissent, North Korean citizens make take notice that their leader is as plump and full of food as a pot-bellied pig. Nothing. It’s an election year, and a war with North Korea wouldn’t really benefit anyone involved. America will take a hands-off approach so they cannot be blamed for anything. Shoot down the missile if it enters Japanese waters. Japan has already had a missile launched over their heads once before, and with plenty of Aegis cruisers, they won’t let it happen again. The missile’s path won’t cross Japan, so this is nothing more than boasting. What will South Korea do? Probably nothing, unless civilians are hurt. South Korea is taking a tougher stance against North Korea, moving away from their past rules of engagement of “Stop hitting me” to “If you hit me again, I might hit back”. Take no responsibility in the situation and encourage America to fix it. Later, they won’t condemn North Korea nor make any statements. There isn’t any way to solve this situation aside from South Korea pumping billions of dollars into North Korea and hoping for a peaceful reunification and not a well-fed group of soldiers marching on Seoul. This is a big turd that none of the superpowers want to handle. The only good thing to come from dealing with North Korea are the rib-crushingly hilarious news reports; like a reality TV show where everyone eagerly watches North Korea to see what kind of belligerence they currently have to offer. I am hoping that their missile launch is a staggering failure. I want nothing more than it to explode on the launchpad, followed by scores of North Koreas crying and rolling around on the ground, and then news reports that “Juche was sabotaged by the puppet nations in the form of a dishonorable stab at North Korean technology which will not go unpunished as North Korea will rain down fire onto the enemies of the Glorious Democratic Republic of Singular Korea”. Not only would a missile failure mean that their scientists were incapable of succeeded, but would also mean that the 100th birthday of their Great Leader was a failure, they get a nice condemnation from the UN, the world laughs at their pariah nation a bit more and they lose one of their bargaining chips. 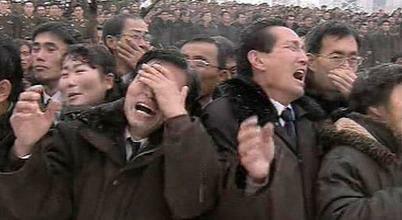 With all of the crippling defeats, the world’s nations would then place their schadenfreude goblets under the shattered faces of North Korea and collect their sweet tears that rain down like fire in a delightful display of flowering goodness that instill wonder in all countries of the world excluding Best Korea. Sweet, delicious, slightly spicy tears.